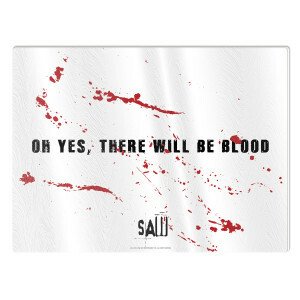 Jigsaw can be ruthless! 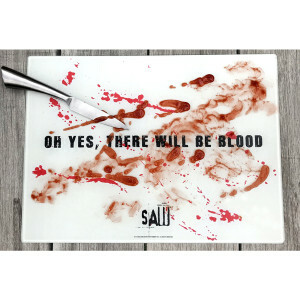 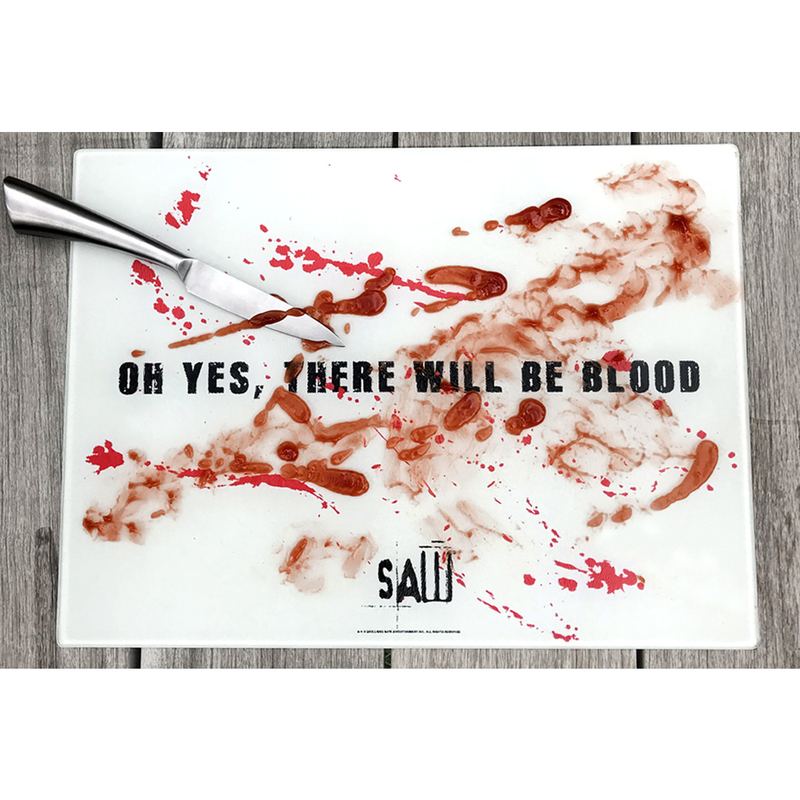 Get the Saw Cutting Board, this glass cutting board is great for any fan of the franchise. 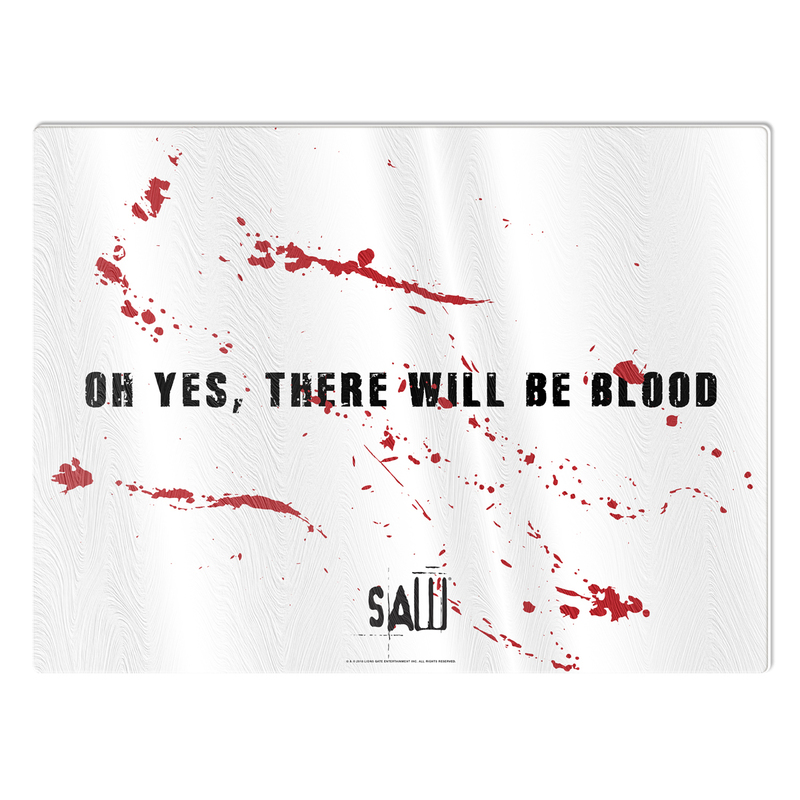 Dimensions: 11.25" x 15 3/8"